Did you know that tomato is a fruit? Yes, that's right tomato is a fruit, but consider a vegetable for culinary purposes. Tomatoes are one of the most common garden fruits in the US. The earliest signs of tomatoes being grown is 1710, when herbalist William Salmon reported seeing them in what is today South Carolina. It is possible that some people continued to think tomatoes were poisonous at this time, and were grown more as ornamental plants than as food. 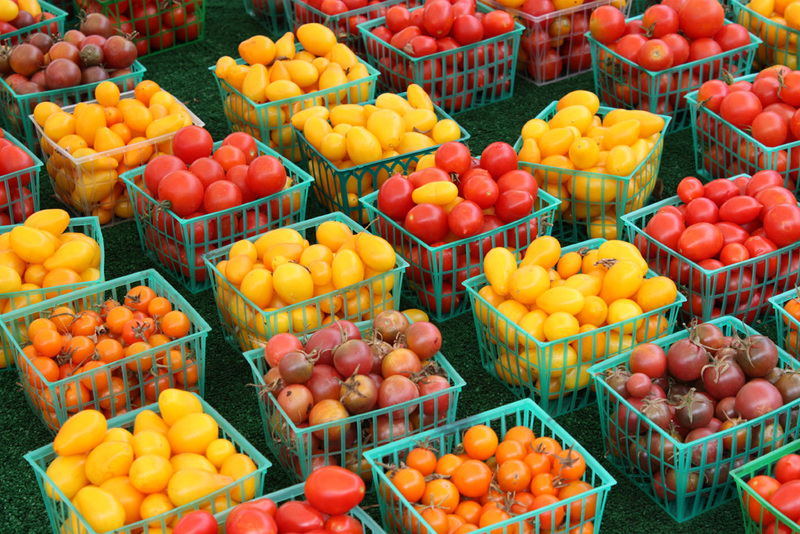 About 130 million tons of tomatoes were produced in the world in 2008. China, the largest producer, followed by US. California accounts for 90% of US production and 35% of world production. Ripe, raw tomatoes approximately 93% water. Cut tomatoes in half and place in bowl. Add onion, olive oil, salt, pepper and basil, toss well. Sprinkle with cheese. Enjoy! I didn't know tomatoes were consider a fruit. Wow! Thank you for the info. Salad looks good. Good salad for lunch. I like the picture, info and recipes. I had no idea China produced tomatoes...I hope we don't get them in the US, I have to be more careful what I buy off season! Thanks for the info, and I do love a good tomato salad! Chef Dennis, thanks for the comment. I agree with you, I hope we don't get them in the US. I welcome all your comments. If you like, you may email me. Email address at the top of page. That picture is great! I love tomatoes any which way!! !